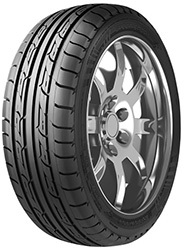 Eco-2 tyres from Nankang are a great choice for all-round performance and efficiency. Impressive performance in both wet and dry conditions means that no matter what situation you encounter, you be fully equipped to deal with it. Impressive performance in both wet and dry conditions means that no matter what situation you encounter, you be fully equipped to deal with it. Great fuel efficiency and safety features are included with Eco-2 tyres, without compromising on comfort or driving performance on any journey.Don’t miss out on the chance to pick up these great Nankang tyres.